Accompanying the Museum of Estonian Architecture exhibition “To the New World: Estonian Architects in Toronto”, this book provides a thorough overview of the work and lives of architects of Estonian origin who emigrated to Canada during the Second World War. The book focuses primarily on architects born in Estonia whose careers and studies in Europe were interrupted by the war, and on those who acquired their qualifications as architects at Canadian universities during the decades after the war. 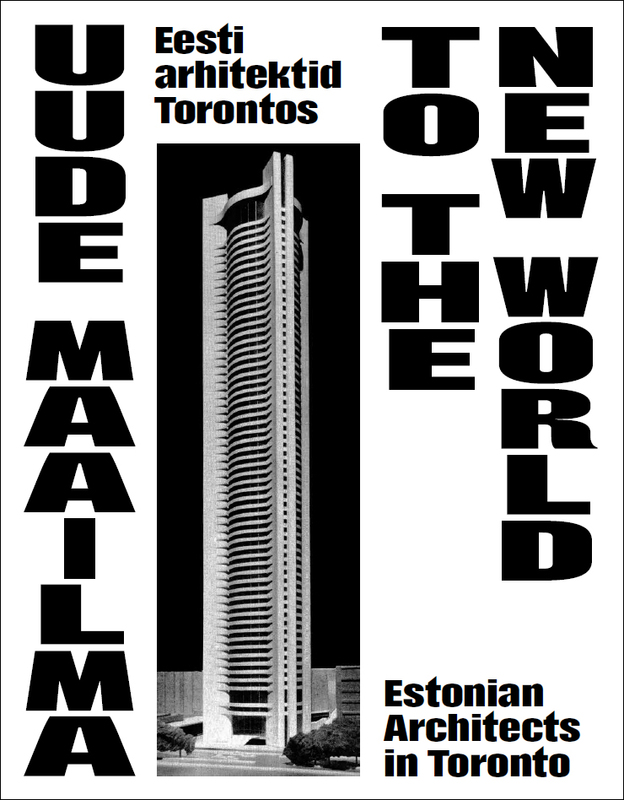 This was a time when people of different ethnic backgrounds flooded to the New World, and Toronto grew at a feverish speed to become the multicultural metropolis we know today and the most important Estonian community outside the homeland. Among others, Estonian architects had an important role to play in the architectural scene of the city. Their trump card was a European education and post-war experience in Finland and Sweden. Based on this, they became an active part of the local community of architects, teaching at local universities and planning a remarkable number of buildings that retain a place of honour in the urban space of Toronto to this day. With a wide variety of backgrounds, the contributing authors provide a comprehensive overview of the wider historical, political and immigration context (Piret Noorhani), the post-war urban development of Toronto (Graeme Stewart and Evan Manning) and the major Estonian architects and examples of their work (Jarmo Kauge). The book is concluded with essays about two of the most influential architects – Uno Prii (Alfred Holden) and Elmar Tampõld (Thomas Tampold).